This site is now open for advertisements. The site has an Alexa Rank of 51,000. The countries where most visitors come from include India, USA, UK, France, Germany, Europe, Pakistan, Dubai, Singapore and Australia. This site is Muti-Niche High Quality Content Site. You can advertise on following thing. 9 You can promote your blog. 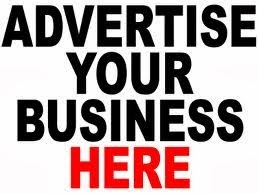 If you wish to advertise then here are some possible ways you can advertise on my site. But price is the same for all the ad units for 1 year, 2years and 3 years respectively. Note : Before giving advertisement in this website, please send confirmation e-mail and also date of payment and your requirement etc. Once I confirm the ad placement is available then you can pay the money via paypal. Thank you. Product Reviews – if you have a product that you think might be useful to travellers and you wish me to write a review and then I can take a look and write an honest review. Or you can provide an article about the product. Remember it has to be travel related product. If you wish to discuss other advertising methods not listed here then feel free to get in touch. I’m open to new and innovative advertising ideas. Get in touch, we can discuss. PayPal – It’s easy and no gimmick unless you have other ideas.